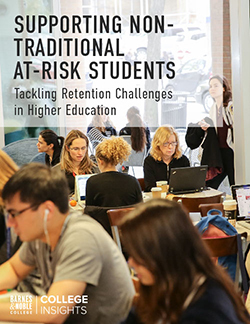 The success of any Barnes & Noble College bookstore depends less on the business of selling textbooks than on the ability of the operation to support and complement the campus environment it serves. While being sensitive and proactive to the needs of the students, the bookstore also needs to support the goals of its faculty and administration and reflect the values of the institution. Recently recognized with a Campus Leadership Award at this year’s Barnes & Noble College Annual Meeting for his service to the campus, Beckwith’s store operates from Mark Clark Hall, the school’s equivalent of a student union. “Our store is unique because we operate in an environment of military discipline,” Beckwith explains. 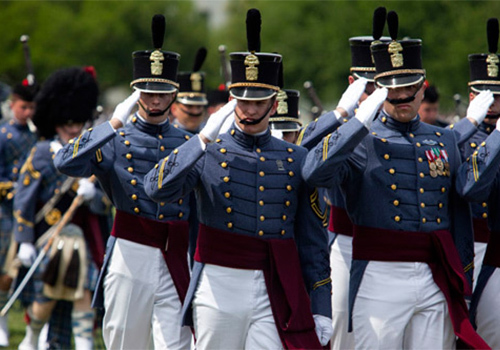 “Because of that, the cadets are required to live on campus for their four-year stay here and need to conform to the rules of a military campus life,” he says. As a consequence, The Citadel Bookstore takes on an even more important role in a cadet’s life — as a resource for everything from toiletries to military textbooks to a friendly welcoming face. To accommodate these kinds of requirements, the store has to prepare their operations with that same military rigor. Understanding those requirements has been crucial to the success of the bookstore. Col. Philipkosky cites Beckwith’s outreach to the various constituencies that make up The Citadel as part of the bookstore’s success on his campus, “Andy’s focused on taking care of the alumni, cadets, faculty, staff and prospective students — he takes care of all of that — and working with him is just inspiring for me,” he adds.